All TRAILSIDE homes currently listed for sale in Park City as of 04/19/2019 are shown below. You can change the search criteria at any time by pressing the 'Change Search' button below. 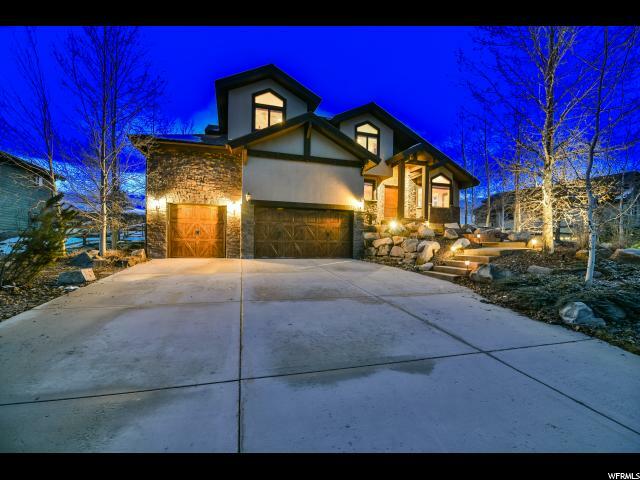 "This fantastic home is situated in the highly sought after area of Trailside Park. Commanding ski resort & mountain views. Backing directly to open space behind the home that takes you to hiking/biking trails and the Round Valley Trail system. The home has an open floor plan with soaring ceilings on the main floor. The formal living/dining area greets you as you walk through the front door. An office and a powder room as well. The great room has a lovely fireplace for those cold nights and a large gourmet kitchen waits for the new chef of the house. The over-sized master bedroom has a fantastic en-suite with a steam shower and huge walk-in closet. Retreat through the french doors to a covered patio complete with a romantic hot tub. The 3 bedrooms and 2 baths on the second level are spacious and inviting. There is also a second family room complete with a fireplace and a wet bar. The oversized 3-car garage has an entrance to the lower level of the home. Enter into a well thought out ski prep room and an enormous storage area. A large 3rd family room, 4th bedroom, full bath and the beginnings of a wine room complete this fabulous home. The exterior has been expertly landscaped with sitting areas in front and in the back, a large patio with outdoor fireplace. A perfect home in a fabulous location."